YouTube CEO Susan Wojcicki has issued a stark warning over the amendments to copyright law recently voted on by the EU Parliament. Wojcicki says the current wording of Article 13 threatens to "shut down" the ability of millions of people to upload content to sites like YouTube, could prevent EU users from viewing content that is already live on the platform, while threatening "hundreds of thousands" of jobs. 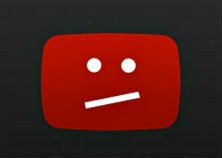 For the past few years, the music industry has complained about the so-called “Value Gap” caused by sites like YouTube. The major labels claim that since unlicensed content is readily available for free on user-uploaded content sites, these platforms are able to pay less to the labels in licensing fees while hiding behind so-called ‘safe harbor’ laws. In an attempt to solve this business model riddle, the industry lobbied strongly for new EU legislation (Article 13) that would effectively require user-uploaded content platforms to install upload filters to detect infringing content before it’s even made available to the public. In September, those legislative amendments were adopted by the EU Parliament. But while the music industry celebrated its initial victory, opponents warned that the measures could stifle innovation. Now, more than a month later, YouTube is warning users that if the amendments pass in their current form, the Internet experience as a whole could “drastically change” for the worse causing the loss of thousands of jobs. “Article 13 as written threatens to shut down the ability of millions of people — from creators like you to everyday users — to upload content to platforms like YouTube,” YouTube CEO Susan Wojcicki told YouTube creators. While this worrying element of Article 13 was highlighted dozens of times in the run up to the crucial September vote, the music industry shrugged off the criticism. However, Wojcicki now warns that the damage could go further still, by negatively affecting access to content that’s already on the platform. “[Article 13] threatens to block users in the EU from viewing content that is already live on the channels of creators everywhere. This includes YouTube’s incredible video library of educational content, such as language classes, physics tutorials and other how-to’s,” the YouTube CEO warns. In the run-up to the vote, opponents of the amendments said that the adoption of Article 13 would mean putting even more power into the hands of corporations. On the one hand, difficulties in complying with the new law would mean only the biggest companies would be able to police uploads effectively. On the other, smaller uploaders might not be adept at ensuring that uploads are non-infringing and with liability for that content passed to sites like YouTube, platforms might not accept those uploads. This, Wojcicki says, is a very real threat. In closing, the YouTube CEO says the company is committed to building bridges with industry. However, if the fiery rhetoric that hit the Internet in the run-up to September’s vote is any indication of things to come, it seems unlikely that the labels will water down their requirements now. Still, the precise wording of Article 13 is yet to be finalized, so YouTube hopes that there is still some room for maneuver. “Please take a moment to learn more about how it could affect your channel and take action immediately. Tell the world through social media (#SaveYourInternet) and your channel why the creator economy is important and how this legislation will impact you,” Wojcicki concludes.